Well, I’ve been waiting to make one of these. 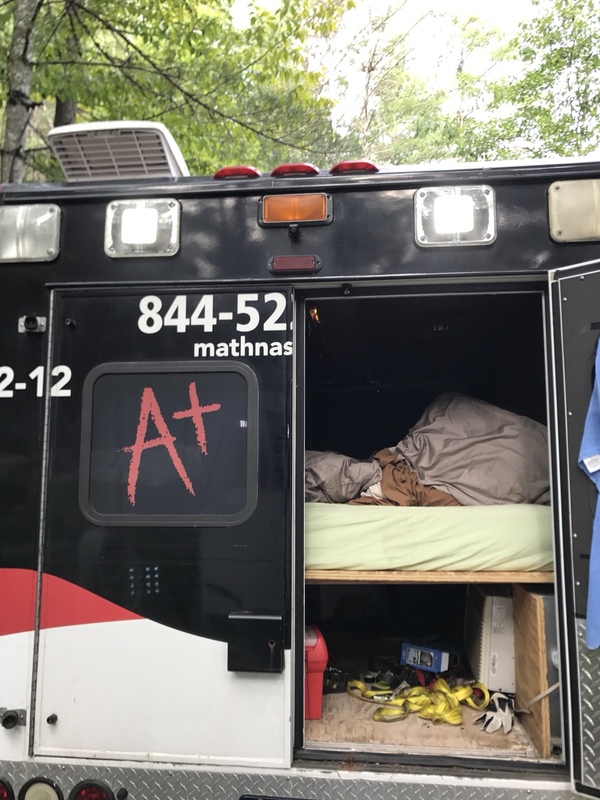 I recently won a bid and took receipt of a mildly molested e350 quigley ambulance. It’s a 1995 SRW type 7 mini mod by wheeled coach with a Quigley 4” lift, 33” rubber and the all mighty 7.3 diesel. I discovered that it wasn’t without its issues upon arrival as the AT transmission shifted “oddly” and seemed to slam into gear, the odometer was disconnected and the new looking tires were dry rotted to Hell. Add in the 4x4 did not work/engage (more on that later). The good news, is it was only 10k and the box is in beautiful shape. Many things were poorly ripped out, but it’s all there. The cab is better than expected and after a DEEP cleaning, I was pleased to report zero hepatitis and zero needles. Looks a lot like mine, although mine started as a wide box dually. Once you work out all the small issues it will be great! More Ambo fun! Enjoy the journey. Connect odometer (because it’s not powered) and may contribute to the hard shift because no speed data is being communicated...???...??? Address a few wiring oddities and reconnect the sine wave inverter. I love the Snow White build on here with the transverse elevated bed, but I lack the skills to do that and I still need seatbelts that are car seat friendly. The westfalia/Sportsmobile layout is my favorite, but I’ll kikely just keep the current floor plan and “modify it”. Looks like great platform to start with. Had not seen seats like those in the box. Very interesting. t have one annoying noise!! The only bad thing about the build quality, is that cutting and changing the cabinets will be a BIT*H!! The interior looks identical to mine. I left the left side alone but took out the right side including the cabinets and wall behind the passenger seat. Now the passenger seat can recline. OMG!! Thats really really really cool. add a swivel base from www.fixmyambulance.com and you're set. cjken: how hard was it to remove that bulkhead? 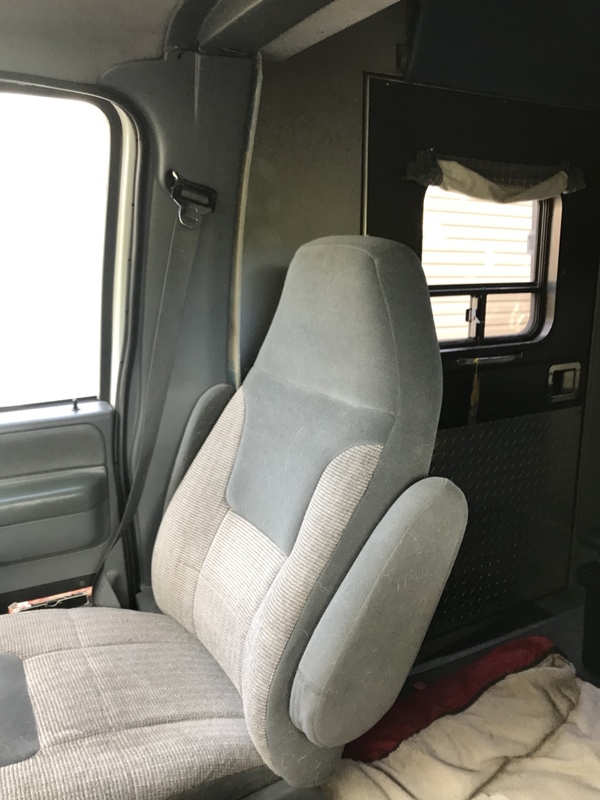 also do you have any other interior pics? I'm looking for inspiration and potential pitfalls. I have very few interior pictures. The bulkhead came out easily here is a picture just before I removed it. Here is a shot from behind you can see the fold down platform that serves as a bed for camping. It folds up for transporting things if I need the space. Overall very simplistic. 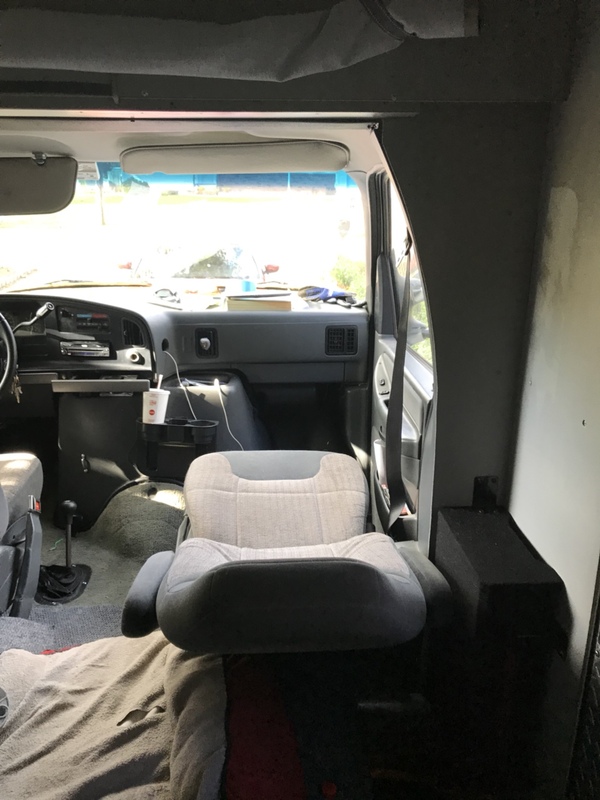 There are much better interiors than mine, but I did not want to lose the ability to fold bed up for additional space for utility uses. The left side is exactly like yours except I cut out the fan which is in the rear left corner and put in a RV fan through the roof which you can see in the exterior rear photo. Right now I have a small window ac in the spare tire compartment. I may do a small mini split or rooftop ac this summer. The window unit being so low is less effective than I would like. 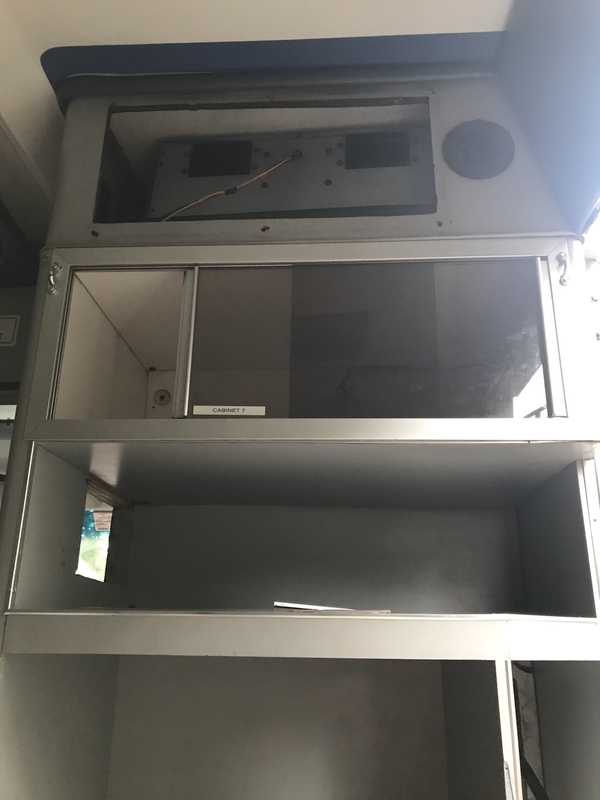 did you end up losing your heat/air unit in that cabinet stack? any issues with that?